Sweet summertime is in full effect! Usually by mid-summer I’m already craving fall vibes, but not this year. 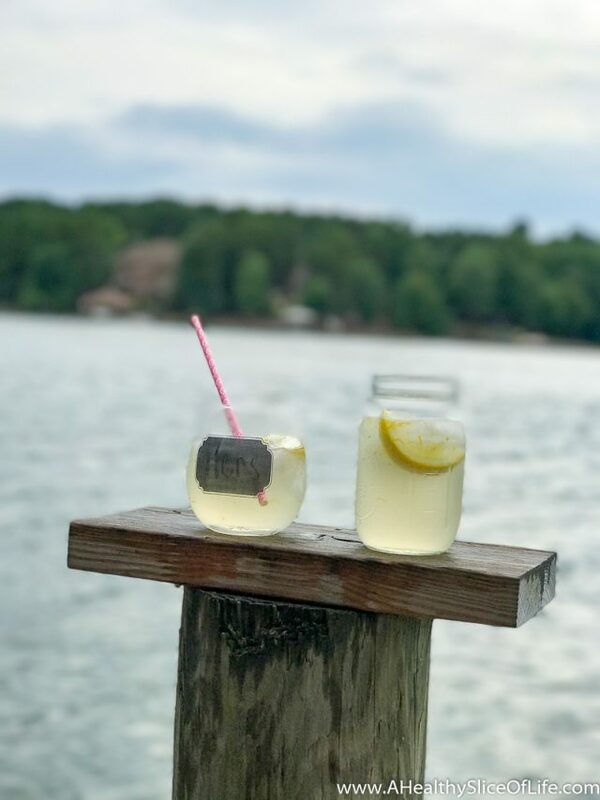 I am soaking up our days spent swimming, boating, sipping summery cocktails, and grilling. I love our relaxed rhythm we’ve fallen into and how the girls are relishing in the time we have at home. Hailey has discovered Princess Pink and the Land of Fake-Believe and can not get enough. She spends most of the day’s quiet time reading the books aloud to her sister. (I am really ready to dive into The Little House on the Prairie series and the other quality books on our list this fall, but until then, Moldylocks it is apparently). 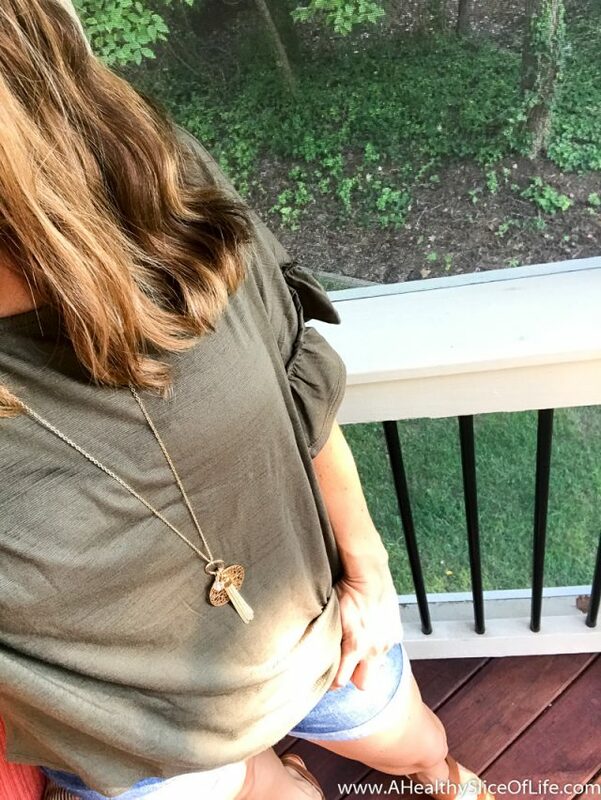 Top (SP): not actually in the sale but will be a fall staple for me for sure! I’m accepting that at this time in my life, I’m a terrible gardener. Well, with anything besides the pots on my porch (which are doing decently well with cherry tomatoes and banana peppers). We went swimming at my friend’s house this week and she showed us her garden. 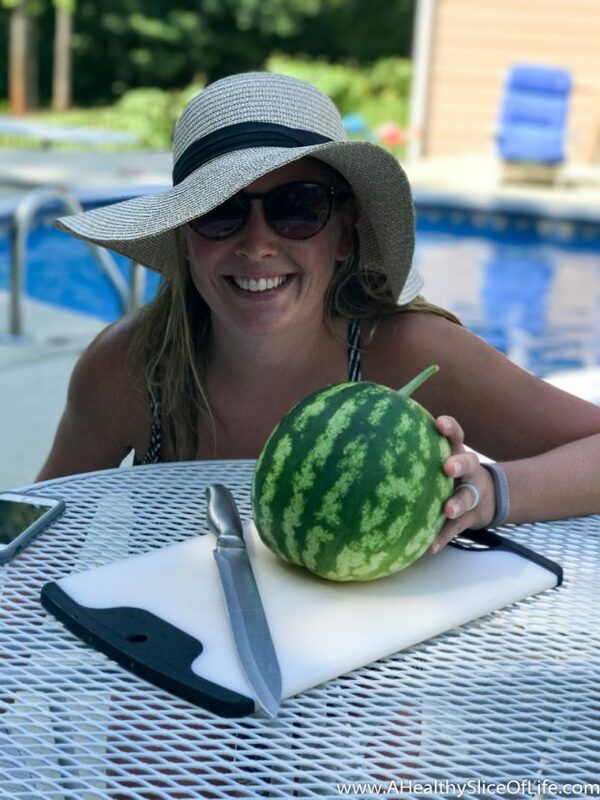 She pointed out a watermelon she grew. I convinced her that certainly it was ready to be picked. Well… I’m willing to bet she’ll look elsewhere for gardening input from now on. Oops! I couldn’t stop laughing but go figure, all four girls still wanted slices! Let me tell you about this lettuce bun and how I’ve been doing it wrong for years. Previously I’ve used a couple lettuce leaves as a makeshift wrap/bun. It works OK but always slip slides around and gets a little messy. The secret is thickness! 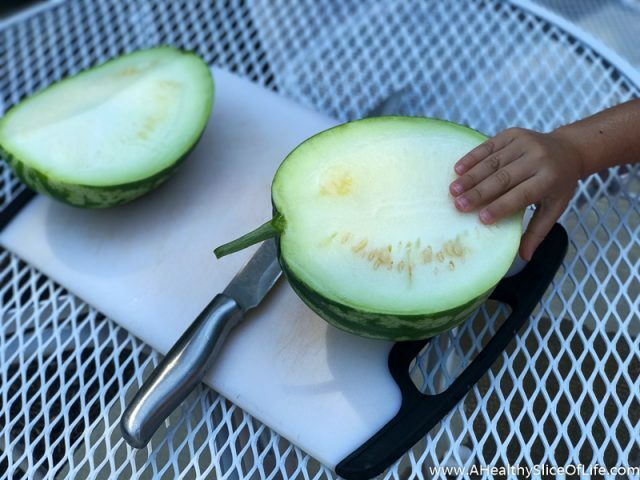 With this head of iceberg cut into slices, it’s so much more sturdy, can handle toppings, and adds a great crunch. 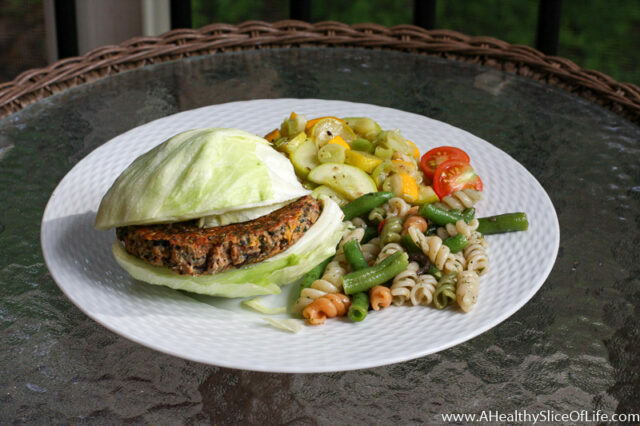 I’ve also heard things about using de-seeded bell peppers as buns. Anyone ever try that? I might stick to lettuce buns or a good ‘ol fashion sesame seed topped fluffy bun! A friend posted this on facebook and I thought it was lovely. 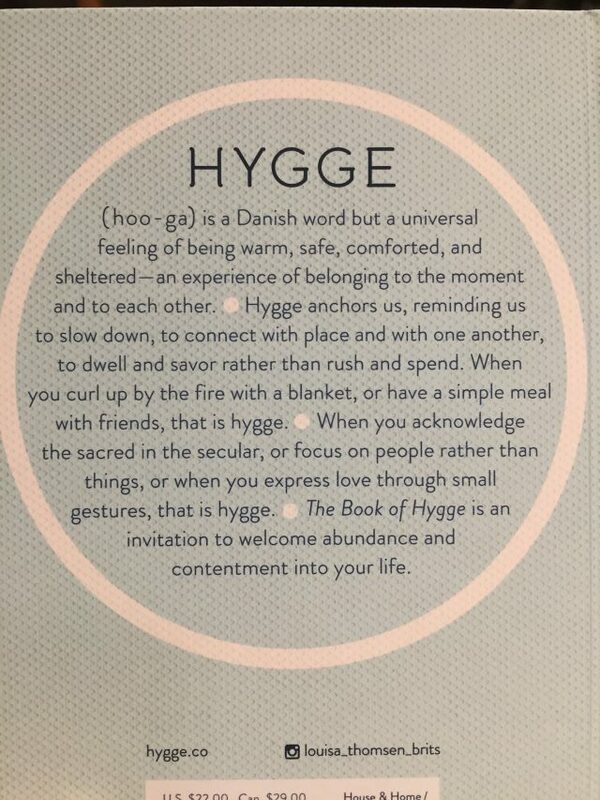 I didn’t know the word for it before, but apparently Hygge is my ultimate life goal; to live in moments and fully experience them. We have some great moments coming up this weekend, celebrating the wedding of one of my best friend’s from college. I’ll tell you all about it on Monday! Anything interesting or fun to share today? Read any great links lately? Leave them below! Love the Nordstrom sale recommendations. Do you order petite or regular sizes in your tshirts? I often find petite too short but regular too long… 5’0 here. Also, do the Zella crop leggings run true to size? Not sure if I need a small or medium but want to get them! Let me know if I can help with any other questions! Hygge is such a wonderful concept. I’ve read a few books about it this year and they were so inspiring and comforting. My girls are similar ages to yours & I *love* that the older one can read to the younger now – and they both love it too! I’m going to check out that series though because it sounds RIGHT up my girls’ alley!! Happy weekend – have a blast @ the wedding!!! I have been wanting the Clarisonic and put it on my Christmas list, but couldn’t pass up this deal, thank you! Christmas in July I guess. 🙂 Next time you are at the library, check out the Little Book of Hygge. It’s very inspiring. Happy weekend! Oh I will! Thanks for the suggestion. And I’m excited for you to experience the Clarisonic!! 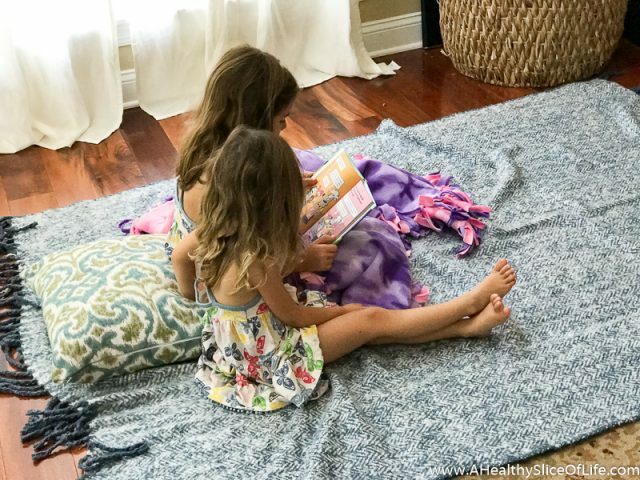 Hailey reading to Kaitlyn is such a precious picture – a “keeper”! Enjoy the wedding. I love the picture of your girls reading together 🙂 Watching someone learn to read (and love it) is such an amazing thing. Also, I wasn’t planning to get anything from Nordstrom, but I may have to get those leggings! I’m short and hate how so many leggings bunch at my ankles.